Todays post is about styling a basic button down shirt of any color. 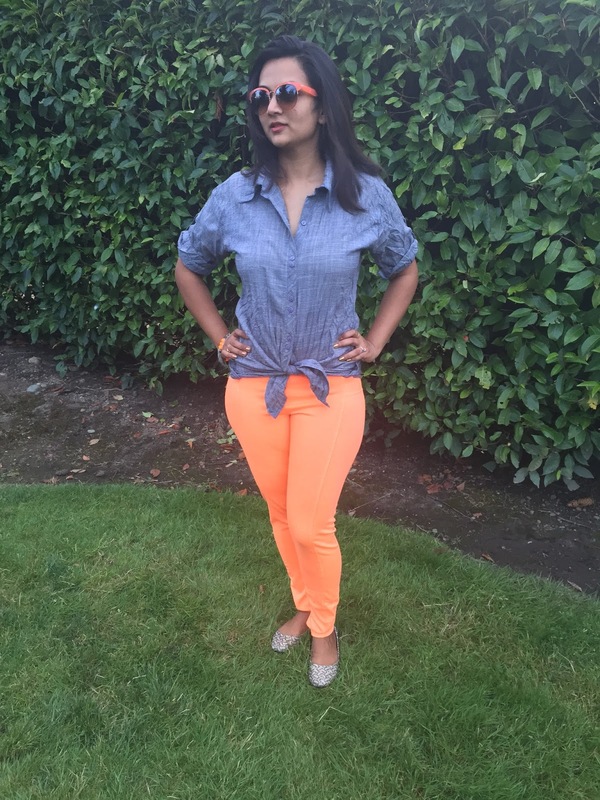 For my look I paired a grey crushed button down shirt with orange leggings. I have kept this look really simple though you could add either a statement necklace or chunky earrings to dress it up. I am using orange for color blocking this look. Button Down shirts are great for casual wear. 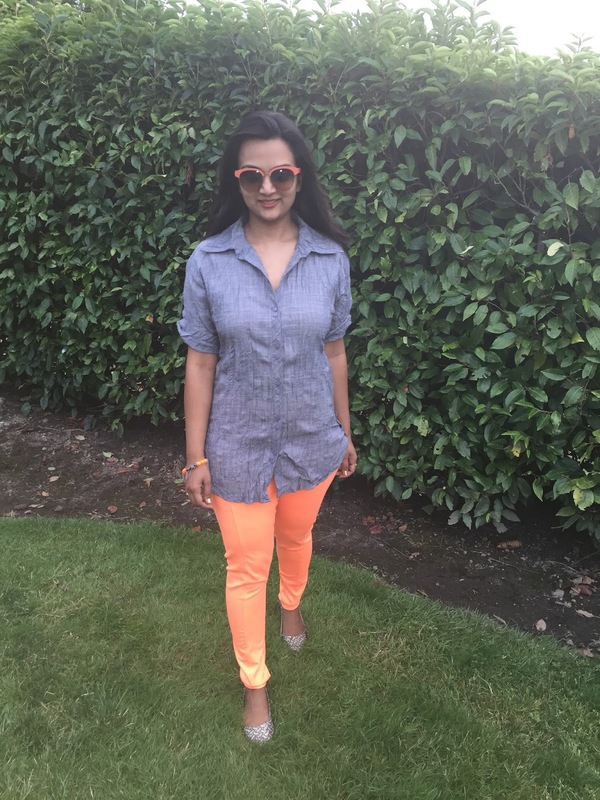 So here are three simple ways how you could wear a button down shirt. In addition to these looks you could always style a button down shirt with a long flared skirt for a indo western look. Let me know how you like to wear it ?? 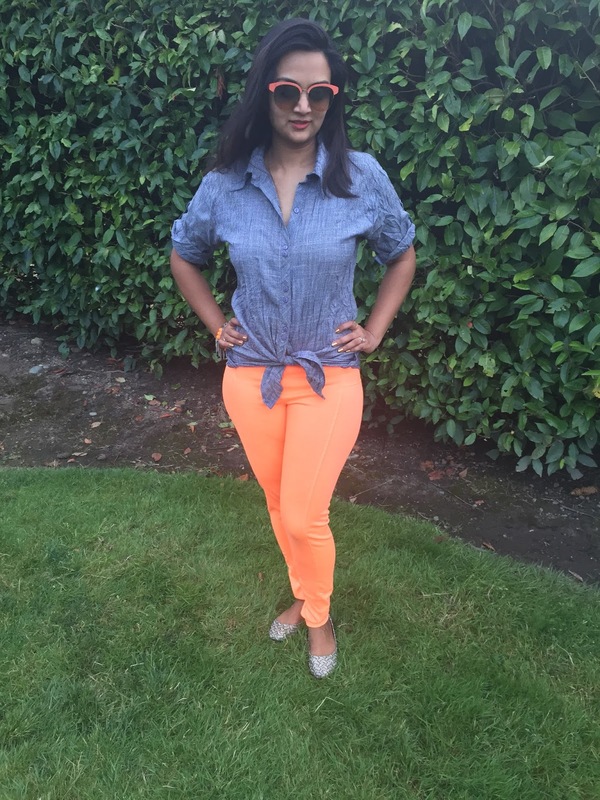 I have also styled these leggings previously HERE ! I usually prefer to either tuck-it-in or set loose.. knot is what I have never tried. Would try it give a shot ! cute causal outfit. I have yet to try to tie my shirt in a knot. 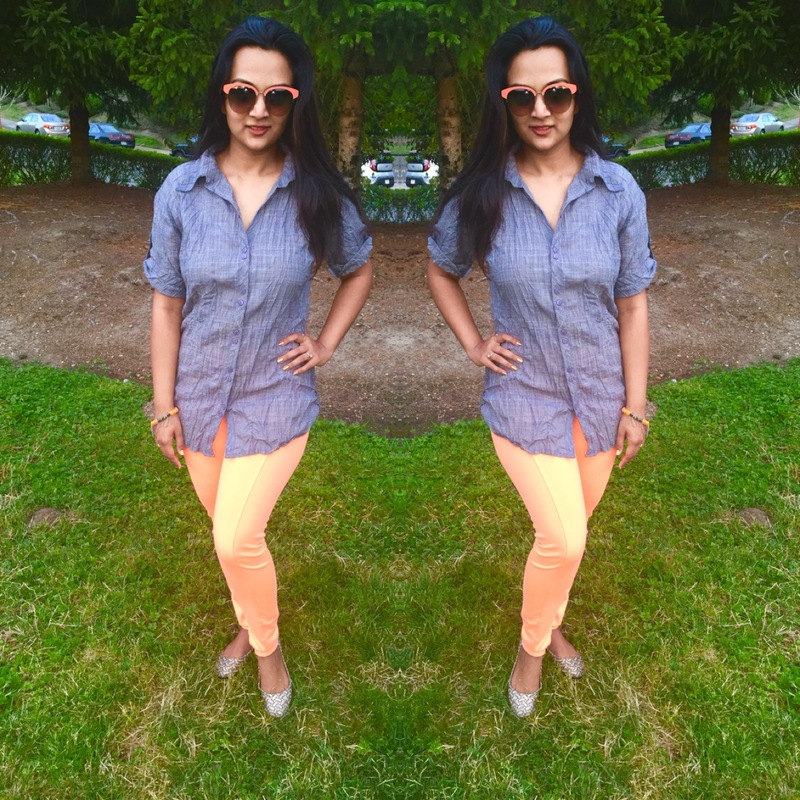 I freaking love those sunglasses <3 and also this post because I literally live in button-downs. Love the simple yet chic look, The Neon trousers are great. I like both ways of wearing this shirt. You look fantastic! love your pants. Very pretty. I love all three ways. The tucked is my favourite! These styling tips are great! I loved all the three ways! Thats a lovely outfit !! Since I rarely tuck in, I prefer my shirts short and fitted. this is my go to combo too Ananya !! Stylish and pretty. I think have same orange sunnies too. I like it how wonderful classy you look in your shirt!